Premium quality pasta, made from sustainable durum wheat sourcing throughout partnerships with French farmers involved in sustainable agriculture. 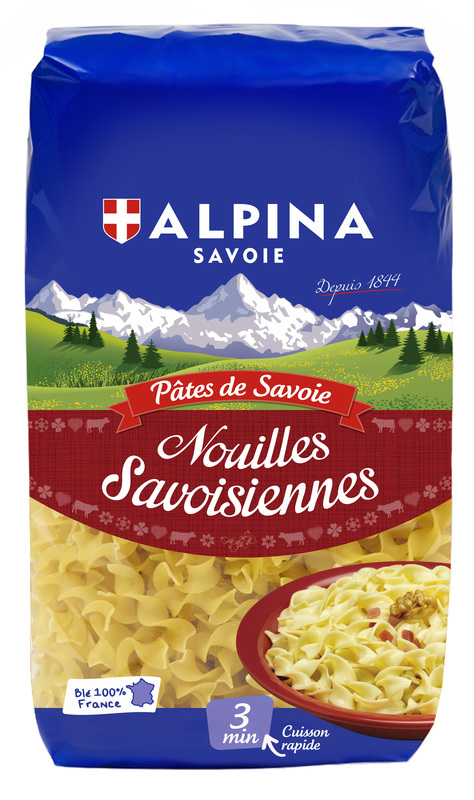 ALPINA Savoie selects only the best wheats from sowing onwards in order to guarantee pasta which holds well on cooking and has a fine amber yellow colour. This original shapes will attract the more adventurous!